Based on a wide variety of unusual and only recently available sources, this book covers the entire Cultural Revolution decade (1966-76) and shows how the Cultural Revolution was experienced by ordinary Chinese at the base of urban and rural society. 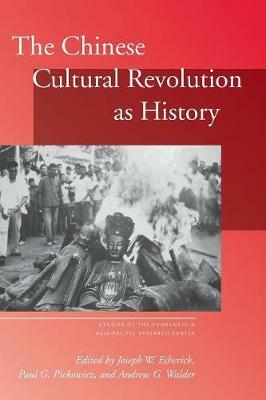 The contributors emphasize the complex interaction of state and society during this tumultuous period, exploring the way events originating at the center of political power changed people's lives and how, in turn, people's responses took the Cultural Revolution in unplanned and unanticipated directions. This approach offers a more fruitful way to understand the Cultural Revolution and its historical legacies.The book provides a new look at the student Red Guard movements, the effort to identify and cultivate potential "revolutionary" leaders in outlying provinces, stubborn resistance to campaigns to destroy the old culture, and the violence and mass killings in rural China.